Hello IGNIT members. My name is Daniel Vincent. My fitness journey began almost 13 years ago when I decided to make much needed lifestyle changes to become healthy. Following this, I challenged myself with various sports throughout high school, as well as learning the martial art of Tae Kwon Do. 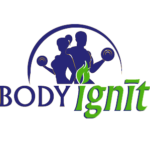 My love of fitness led me to seek a Bachelor’s Degree in Kinesiology from Iowa State, as well as my personal trainer certification through NASM. My career as a fitness trainer has seen me teach group and one on one fitness at places such as Anytime Fitness and Title Boxing. It has also led me to teach special population fitness through Title and Community Health Partners. 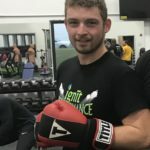 I am very excited to join all of you on your own journeys, as well as continue mine through personal and group training, continuing special populations work, and furthering my own knowledge of martial arts and always seeking to become as fit and healthy as I can be right alongside all of you.